Abercrombie & Kent a luxury adventure travel company was founded on the belief that travel brings families closer together and for 2015 has re-imagined its Family Journeys, now spanning all seven continents. Ten new itineraries, in addition to six long-time favorites, are featured in a newly-designed portfolio. To preserve these memories of a lifetime, A&K has partnered with MILK™, creators of immaculately designed custom photo albums, to provide every family who travels on an A&K Family Journey with a complimentary 60-page linen-bound photo album. Families can personalize with ease by adding their own photos to templates designed around each A&K Family Journey, featuring an itinerary, map and destination imagery – or choose to completely customize their own book. 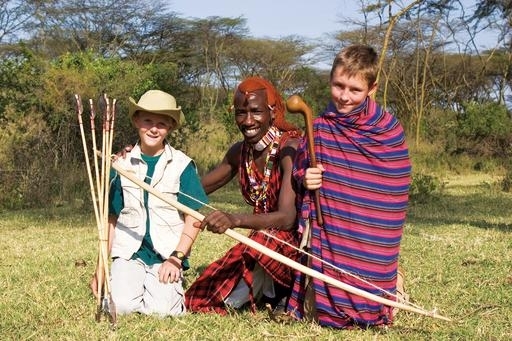 For the first time, A&K will offer a choice between Luxury Small Group Family Journeys, featuring five-star accommodations and a Young Explorers Guide, and Connections Family Journeys, typically priced 30 percent less, with four-star-plus accommodations and a slightly larger group size. 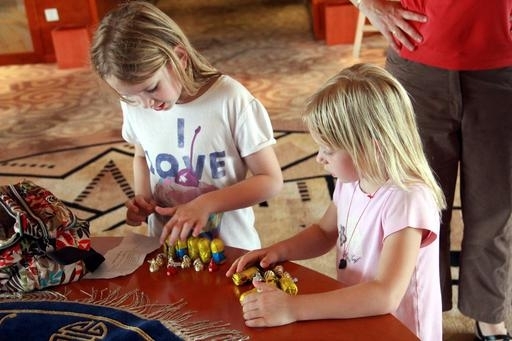 Planned from the ground up by local A&K experts, these family-friendly programs feature engaging activities for all ages, organized by resident A&K Tour Directors, specially chosen for their rapport with young guests. A resident A&K Tour Director leads each journey, leaving parents free to spend quality time with their children — sharing experiences and building memories — instead of planning what to do next. Each day features at least one Family Discovery, a chance to connect by interacting with nature, culture or local kids. It could be ziplining through the rainforest in Costa Rica, henna painting in India or a scavenger hunt at a local market. Eating is its own adventure, and each itinerary is designed to encourage even the pickiest eaters to dive in and sample the local fare (with familiar favorites on hand just in case). Hotels have been chosen for their family-friendly amenities, such as swimming pools, free Internet access, and in many cases, in-room game systems or game rooms to enjoy after the day’s scheduled activities. A&K’s Luxury Small Group Family Journeys are designed for no more than 18 guests, making it possible to offer the best rooms at the best five-star hotels in each destination; luxury amenities, such as Travelling Bell Boy® service to transfer luggage from hotel room to hotel room and Traveller’s Valet, A&K’s complimentary mid-journey laundry service. A Young Explorers Guide joins each trip to organize hands-on activities designed to appeal to younger guests, from nature hikes to arts and crafts projects that encourage kids to express themselves. 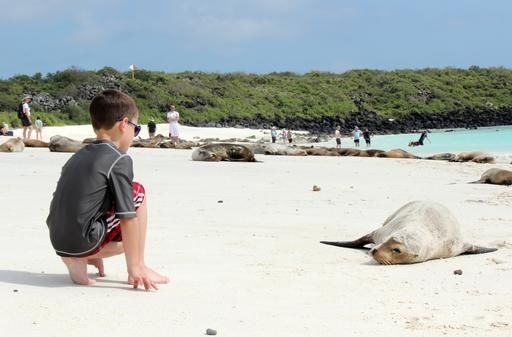 Child-friendly pricing offers savings of $800 per child on international journeys. NEW Family India & the Taj Mahal – Ride a camel and an elephant, explore a magical palace and mystical temples, search for tigers on safari and feel the energetic mix of ancient cultures and metropolitan cities. 15 days from $8,695 (children save $800 off the adult price). NEW Family Costa Rica – Zip line through the rainforest under ancient volcanoes, dive into waterfalls, cruise lazy rivers swimming with turtles and manatees, and visit with kids at a local school. Seven days from $3,195 (children save $800 off the adult price). NEW Family China & the Yangtze – Walk the Great Wall, meet giant pandas and cruise for three nights down the longest river in Asia. 12 days from $6,295 (children save $800 off the adult price). A&K’s Connections Family Journeys appeal to parents who place equal importance on authentic experiences and value. While still offering an upscale experience — with no more than 24 guests and four-star-plus accommodations — Connections journeys are typically priced 30 percent less than A&K’s luxury journeys and offer a savings of $400 per child. NEW Italy: A Family Journey – Battle like a Roman gladiator in mock combat, toss pizza pie with the pros, see Michelangelo’s Sistine Chapel and paint your own Venetian carnival mask. 10 days from $5,795 (children save $400). NEW Spain: A Family Journey – Climb wild works of art and watchtowers, take a scavenger hunt through a museum and ride a horse-drawn carriage to a fiery flamenco show. 10 days from $6,395 (children save $400). NEW South Africa: A Family Safari – See the best of South Africa on a journey that spans Cape Town’s Table Mountain, beaches dotted with penguins, game reserves packed with wildlife and historic Soweto. Enjoy a walking tour of Victoria Falls. 11 days from $7,395 (children save $400). When travelling as a family, there is simply no substitute for having local staff on the ground. Abercrombie & Kent has a network of 52 offices around the globe that guarantee unmatched service, local knowledge and painstaking attention to detail, along with fun and enriching activities and child-friendly accommodations.